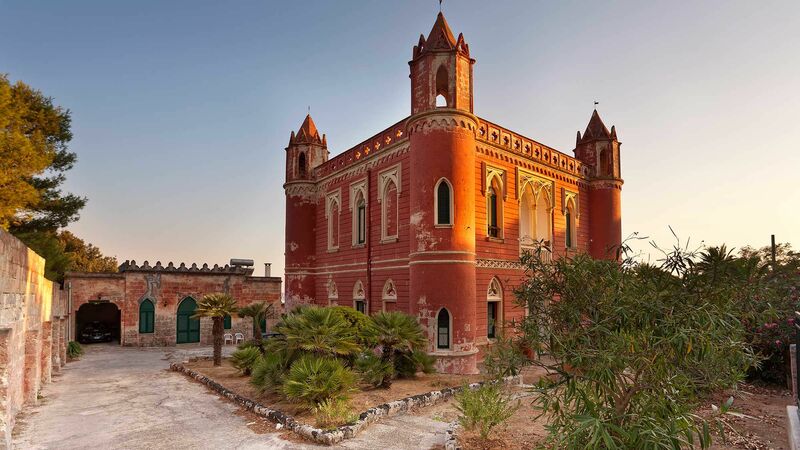 Charming villages and striking wineries form the heart of this beautiful Spanish wine region tour, which you can book for a once-in-a-lifetime experience with Travel + Leisure and Butterfield & Robinson. A road in the Rioja wine region just outside the village of Laguardia. A mountain range called the Sierra de Cantabria runs along the northern border of the Rioja Valley, and I had spent a good part of my morning riding up it. Behind and below me, the vineyards of Spain's most famous wine-making region spread out like a crazy quilt, a long skein of morning mist hanging above them. The air was almost perfectly still, the only sound a light wind rustling the beech trees that clung to the rocky escarpments on either side of the road. Once in a while, I'd hear a faint church bell from a nearby village or the muffled blast of a Basque hunter taking aim at a wild pig in the woods. I was on a new trip from the Toronto-based active-travel company Butterfield & Robinson, created in partnership with the editors of Travel + Leisure. My guide, Dale Sherrow, was way up ahead, riding with one hand while using his other to finalize our lunch plans on his cell phone. Fading a bit, I dropped down a gear. Amid the quiet, the loudness of the familiar sound startled me — the dry click-click of the shift lever, followed by the gentle metallic clang of the chain finding a new set of sprockets. 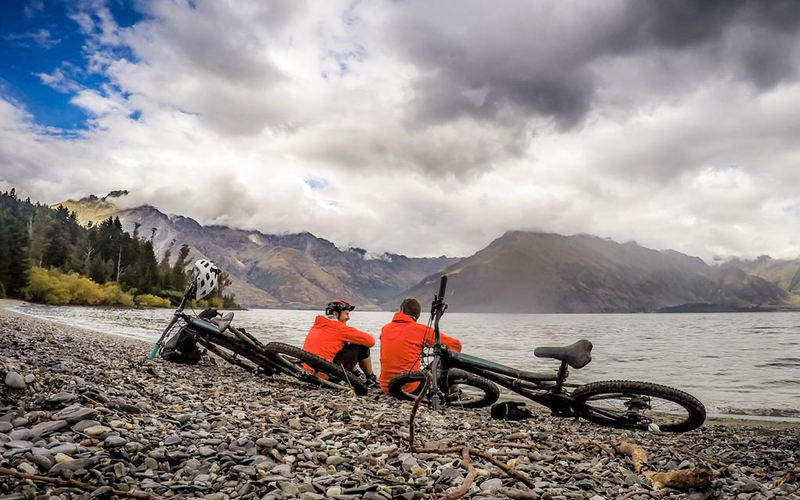 You can go biking anywhere in the world and it always sounds the same when you change gears. When I finally reached the top, Sherrow praised my fortitude for having climbed more than 1,700 vertical feet. I hadn't been on a bike in a year, so I was grateful for the compliment. We looked at the road ahead, which pointed steeply downhill, into the shade of the forest. "Be careful and watch out for damp spots," he said. "But otherwise, let it rip! Let's get a coffee at the bottom." Puente la Reina, a town on the Camino de Santiago in Navarre. I'd met Sherrow in Bilbao a few days earlier. The night before we began our four-day bike trip through the provinces of Navarre and La Rioja, he'd taken me on a beer-and-pintxos crawl along Calle Ledesma, a boisterous pedestrian thoroughfare that is a Xanadu for Spanish snacks. I was struck by his rakish enthusiasm, resemblance to Aaron Eckhart, and bio that includes stints living in New Zealand, Nicaragua, Denmark, and France in addition to 13 years of guiding for B&R in Europe, Morocco, and Southeast Asia. He projected the kind of warm, effortless competency I've heard is typical of B&R guides. "There are no problems, only solutions," he told me the first night as we discussed the trip. It proved to be one of his mantras. My only problems, I soon discovered, were of the most rarefied, first-world variety: jet lag, which left me with no choice but to spend a few comfortable early-morning hours in bed with a novel; wooziness, brought on by too much charcuterie and fine Spanish wine; and, by my second day on the bike, a tender undercarriage. Nothing, in other words, to raise a fuss about. 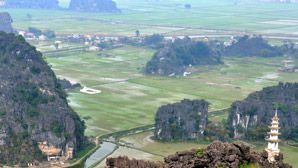 It was October, and when we set out each morning, fingers of fog clung to the green hills and limestone peaks. We spent our first two days in Navarre, eventually joining the Camino de Santiago, the ancient pilgrim's path that runs through northern Spain, as we approached Pamplona, where we stayed on our first night. For the trip's second half, we drove south to the Rioja wine region, the sweeping expanse of orderly vineyards, architecturally arresting bodegas (as the wineries are called), and medieval villages perched on small hills, many arranged around cathedrals that appeared to have been built as mosques in Moorish times. The road along the Arga River in the province of Navarre, southwest of Pamplona. Though the terrain wasn't overly difficult, it was rarely flat, and so after 40 or 50 miles of riding each day with plenty of climbing, I was more than ready to indulge in the wines for which Rioja is justifiably famous. Of the wineries Sherrow took me to each afternoon, my favorite was the bodega at Juan Carlos Sancha, a tiny producer in Rioja Alta, the part of the region where grapes are grown at high elevations. The owner, Juan Carlos Sancha González, who is also the director of enology at the University of La Rioja, is deeply committed to organic viticulture practices and the preservation of forgotten vines. "Wine should reflect the place where it is made — otherwise, it's Coca-Cola," he declared, obviously not for the first time, as we tasted several of his bottles. Then we packed into his Hummer and drove to the hilltop where he tends the gnarled Grenache vines his grandfather planted more than a century ago. The air was fragrant with the wild thyme and other botanicals that give the terroir its character. Deeply satisfying meals, both humble and extravagant, followed the bodega visits. 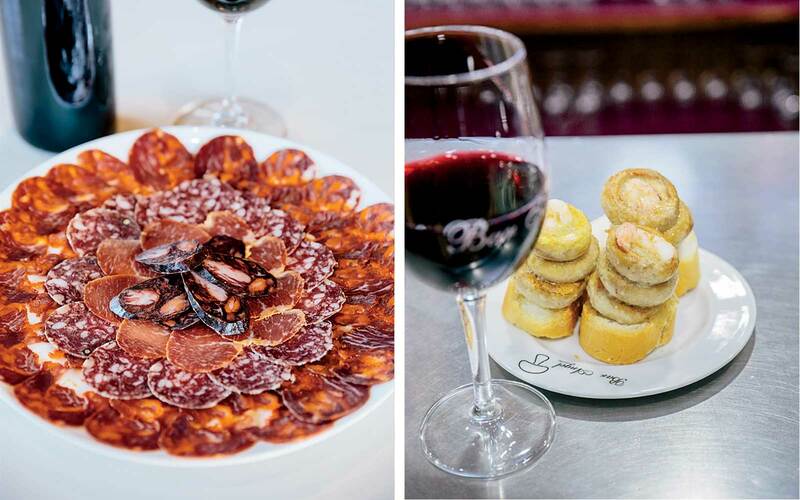 There were the pintxo bars of Logroño, La Rioja's capital, where we washed down Iberian-ham sandwiches, grilled mushrooms, morcilla, and pickled octopus with Tempranillo and beer. One night later, there were the "21 ideas" about Riojan cuisine that made up the playful tasting menu at the Michelin-starred restaurant at the Hotel Marqués de Riscal, which included an earthy mushroom appetizer inspired by the beech forests I'd recently ridden through. From left: Grilled mushrooms at Bar Angel, a pintxo bar in Logroño; local sausages at La Tercera Estación, a wine bar in San Vicente de la Sonsierra. 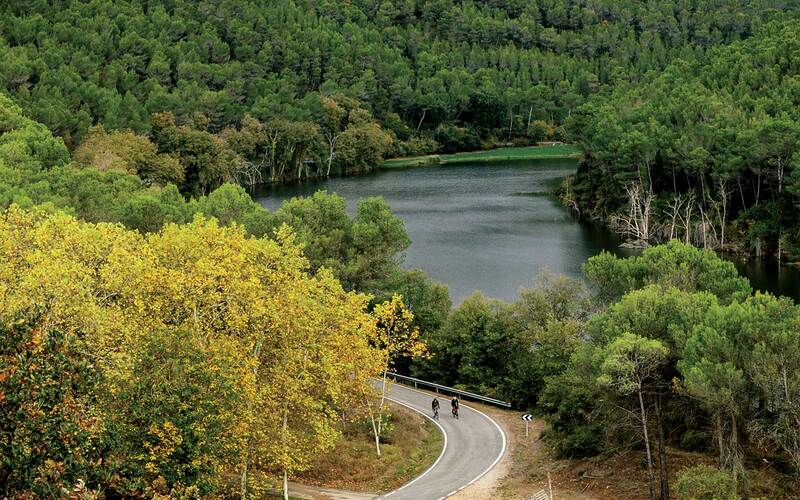 But for all the delightful food and wine, the essence of the trip was about pedaling a bicycle through those gorgeous Spanish landscapes — "slowing down to see the world," to borrow Butterfield & Robinson's slogan. After Sherrow and I reached the other side of the Sierra de Cantabria, we passed road signs splashed with separatist graffiti. We were back in Basque Country: no sign of grapes there, just woods and farmland. We ordered café con leche at a small coffee shop where the figurines in the foosball table wore the local colors and two old men sat in the corner playing mus, a Basque card game. Then we meandered for a while through a landscape of rivers, pine trees, and green and brown hills right out of For Whom the Bell Tolls until it was time to climb back over the mountains. 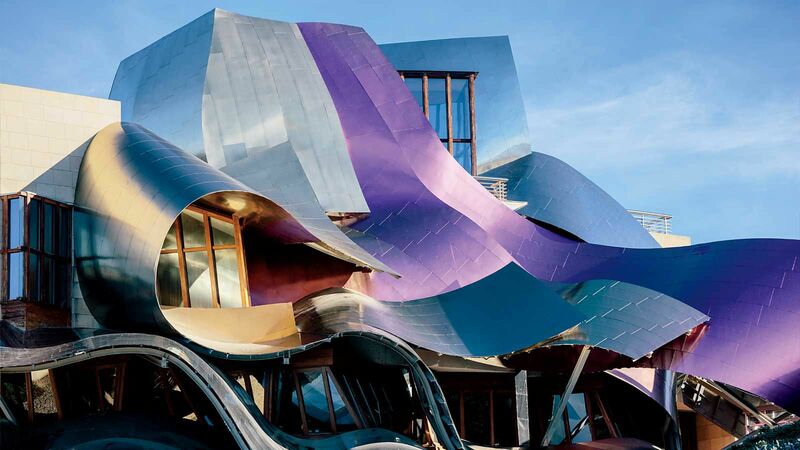 The titanium ribbons of the Frank Gehry-designed Hotel Marqués de Riscal, on an estate in the village of Elciego. Something I have always loved about biking is the time it gives you to be alone with your thoughts, and as I slowly crawled up the narrow country roads, I found myself reviewing the experiences I'd had on the trip so far. I thought about the pilgrims I'd seen on the Camino, with their tall sticks and their packs hidden beneath their ponchos. I thought about Francisco Glaria, my dapper guide in Pamplona, who'd explained at the beginning of an evening tour of his city, "I'm not politically Basque — but I'm one hundred percent culturally Basque," then cracked wise about animal-on-spectator violence at the running of the bulls. I thought of the parade of elegant small plates I'd had at Ábaco Restaurante, across the street from the bullfighting ring in Pamplona, especially the marrow topped with scallops accompanied by a burly Navarre Grenache, which together seemed to satisfy something instinctual and primal I didn't know I had in me. I thought about the gracious Lena Draghia, our host at the Propiedad de Arínzano winery, who'd served us heirloom tomatoes just picked from the vegetable garden as we sipped a young Chardonnay at a picnic table by a stream. At the top, Sherrow congratulated me again. In front of us was the vast carpet of the Rioja Valley. I hadn't entirely realized what extraordinary fall colors grapevines can yield, but here they were: scarlet and goldenrod and rust. As we flew down the mountain in the direction of our next bodega, all I could think about was the view. 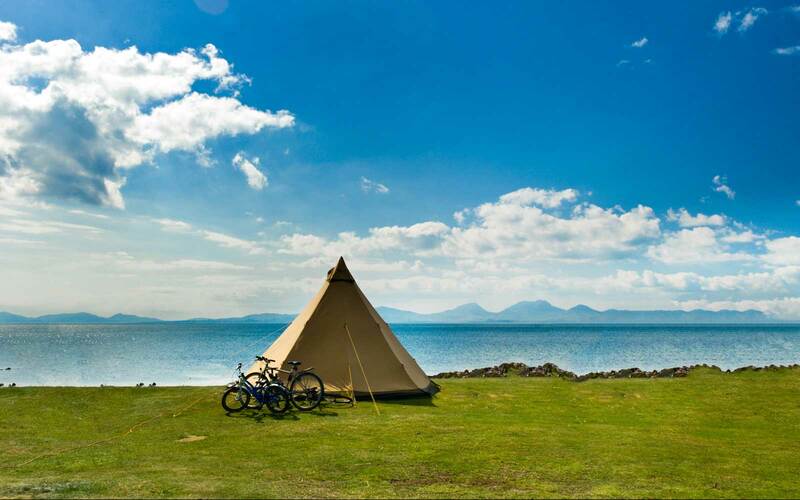 You don't need to be a regular cyclist to enjoy this itinerary. Daily rides average about 30 miles, with options for additional cycling. 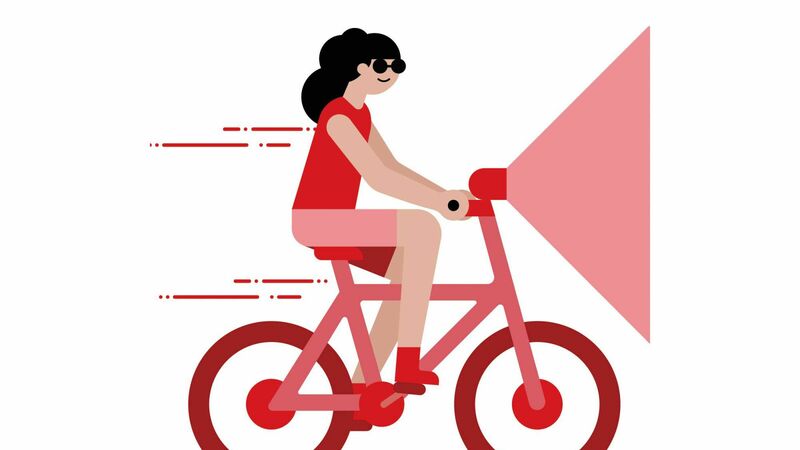 You should pack biking clothes, but your guide will provide a bicycle and helmet. The best time to visit is between May and October, though midsummer can be hot. Five days from $5,995 per person; 866-551-9090; info@butterfield.com. Fly into Bilbao via Madrid or another major European hub. You will probably want to book a hotel there, since the package does not include one; the recently renovated Gran Hotel Domine (doubles from $188), opposite the Guggenheim, is an excellent option. You'll meet your guide in Bilbao and drive about an hour to begin riding. On the first day, you'll ride through the green farmland of Basque Country to historic Pamplona, where you'll have dinner on your own — I recommend Ábaco Restaurante (tasting menu $53) — and spend the night at the Gran Hotel la Perla (doubles from $210), where each room contains a tribute to a famous guest (Hemingway's is 201). 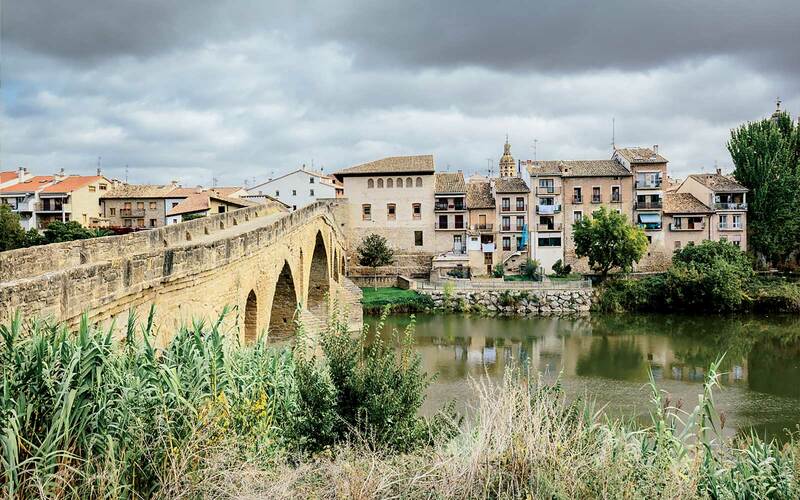 The next day, after riding through the Arga River valley, you'll reach Propiedad de Arínzano winery, where you'll get a tour and a big lunch before you drive to the next hotel, Hotel Viura (doubles from $172), a Modernist property in the picturesque Rioja village of Villabuena de Álava. The routes on the third and fourth days are loops through Rioja wine country and up into the Sierra de Cantabria, stopping for lunch at places like La Tercera Estación (Calle el Remedio; 34-94-133-4501), a stylish, low-key wine bar in the village of San Vicente de la Sonsierra. The trip will conclude with a night at the Frank Gehry–designed Hotel Marqués de Riscal (doubles from $412), where you'll have dinner at the wine estate's Michelin-starred restaurant.